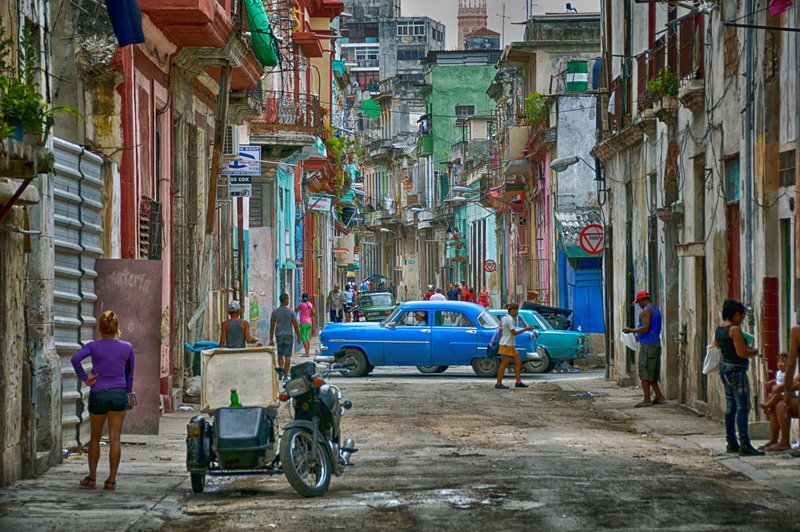 Cuba… one of the last bastions (at least in the Northern Hemisphere) of laid back people and simple ways. Good to learn you had an opportunity to see/experience a bit of it before American capitalism swarms in and swamps. Give it one year and the place will be plastered with advertisements and promotion for a plethora of U.S. products and services. Hemingway will be rolling in his grave. By no means does this reader consider your visit/trip unpatriotic. Alternatively, you were/are privileged to have a glimpse of what will too soon be the past… a beautiful legacy and place. Thanks for sharing this glimmer. You write with such openness, joy and compassion Shauna. Thanks for giving us a peek into this hidden world. I’m glad they still have their old world charm. Maybe it won’t be transformed as quickly as Eric predicts. I could say the same for your awesome writing, Dear Brad — except you win the “moving me to tears, time and again” category, hands down! 😉 Thank you for the big SMILE!! Enjoy sharing this journey with you. Thanks for taking the time to write it with such passion. And I so appreciate you coming along with me and taking your precious time to leave a kind remark, Kimberly. Thank YOU! Thank you for the privilege of your gracious visit Mike! Shauna .. Tears filled my eyes as I read your story. I thank you for dedicating your touching article to me .. I’m so humbled & honored by your kindness. Thank you for visiting my beautiful country, with an open mind & open heart that you so beautifully have shared with so many of us. You’re one amazing woman … You’ve inspired me in countless ways. I’m honored to know you .. Thank you for the wonderful friend that you are ! Truly wonderful and captivating storytelling! Just seeing your name here is truly wonderful and captivating…Thank you for your consistent kindness. It means the world to me!! Thanks, Shauna, for taking me on a trip to this country that still has its original flavor, for good and bad. I just hope the change that is inevitable will be balanced, preserving the best. I’m sure your friend will be able to travel to see her family and reconnect with her roots fairly soon. Wonderful post. Like Eric said, I hope to visit before it becomes overwhelmed with US tourists and changes forever. So many from my birth isle have studied there (doctors, nurses) – it’s time I get cracking I suppose! Thanks for sharing your experience. Hi Luggage Lady. I have never been but it is as though history stopped. But now the USA are I understand trading again. Maybe it will change not a place I would want to visit. Thank you so much for liking my poem People! Best Wishes. The Foureyed Poet. What a great post! The photo is wonderful, and I’ve wondered about the People to People tours. My son really wants to go, and I hope we can manage to get there before too long. Thanks for sharing!